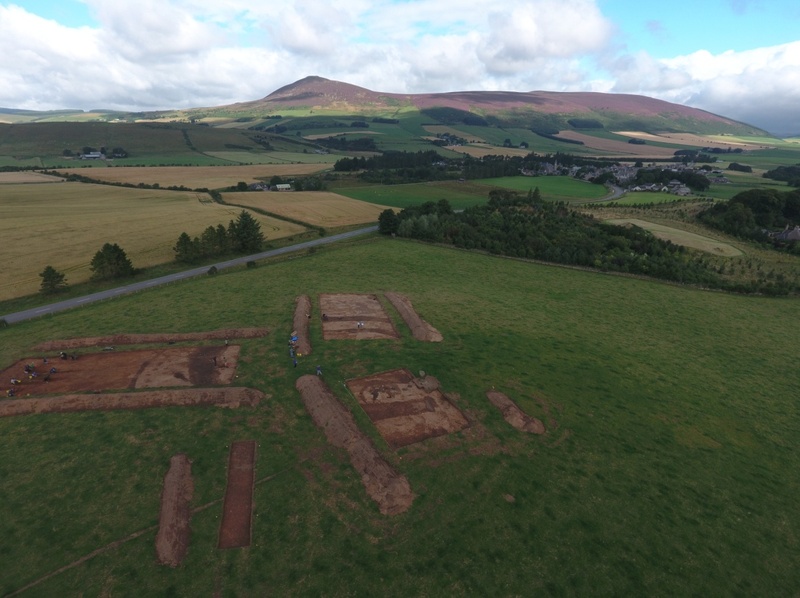 Over the years tradition has had it that there are the remains of a distillery dating back to the 18th Century at Mulchaich Farm, located in the district of Ferintosh on the Black Isle. The distillery site is about 200m NW of the farm and was previously unrecorded; it was in a sorry state being quite overgrown with whins and with the few open areas grossly trampled by cattle. 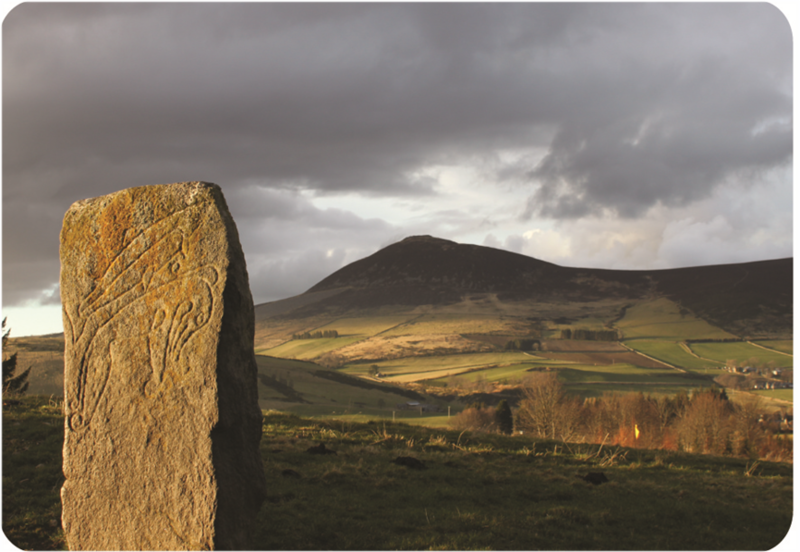 In 2009 members of the North of Scotland Archaeological Society began a project which had as one of its aims the surveying and recording of the distillery site and that of the neighbouring chambered cairn (HER MHG 9083). The project also included a limited amount of historical documentary research following which a report was produced – see also Appendix II below for further details. It was felt that together with the chambered cairn the distillery site would make an interesting and attractive place for people to visit. The landowners, the Dalgetty family, were happy to oblige with permission and for this we are very grateful. 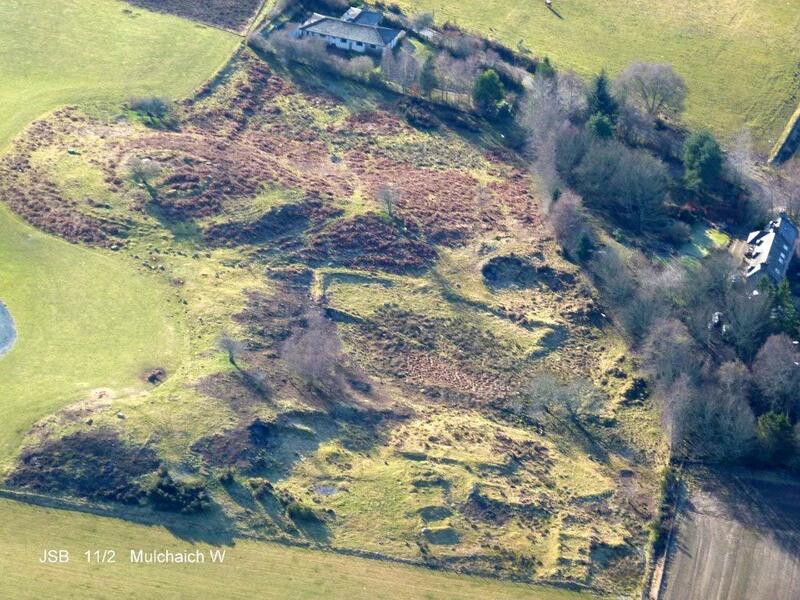 In addition the Adopt-a-Monument Scheme hosted by Archaeology Scotland were keen to help us with advice and limited funding, so in October 2012 NOSAS began a second phase of work at Mulchiach, preparing the site for public presentation. 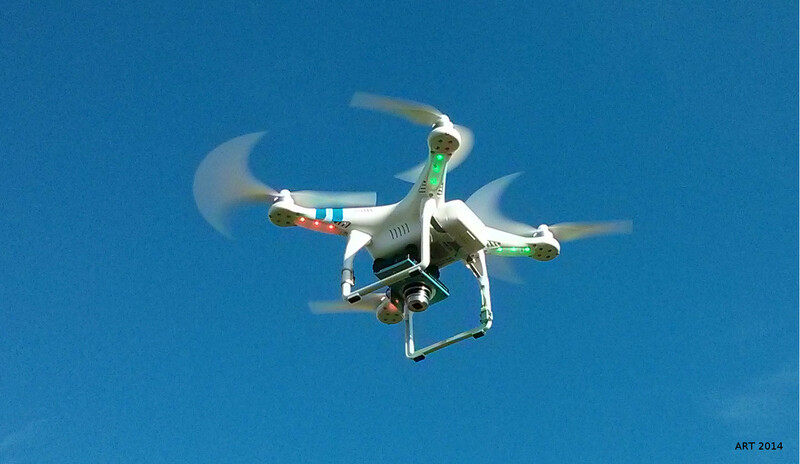 It is this later project that forms the chief focus of the following article. The main thrust of the work during the summer of 2013 was targeted at the kiln where the barley or bere, which had been allowed to germinate, would have been made into malt by gently heating it until it was dry . The kiln had all the characteristics of a corn drying kiln and the purpose of our exercise was to clear the rubbish that was inside it so that its features could be displayed and we could interpret them for visitors. The work was carried out as if it was an excavation; nothing structural was removed, everything was recorded as we went along, photographs were taken at all stages and a report was subsequently published. The kiln bowl had been constructed on a small mound of glacial till which had been levelled off to form a platform. The platform was built up on the east side and reinforced with boulders and the kiln bowl itself was sunk into the natural morainic till by 200mm; likewise the flue and the area in front of the entrance which was sunk by 500mm. This entry was posted in Black Isle, General Archaeology, Post Medieval and tagged Adopt a monument scheme, archaeology highlands, archaeology Scotland, Dallas Dhu Distillery, exposed moraine, Ferintosh whisky, flue hearth, Glen Banchor Kiln, highland archaeology, kiln bowl, kiln flue, Meryl Marshall, mulchaich, Mulchaich chambered cairn, Mulchaich west settlement, North of Scotland Archaeological Society, NOSAS, NOSAS report, Post Medieval archaeology, recording a building, recording and surveying, Roy map, Scottish archaeology, tape and offset, whisky distilling on April 26, 2015 by nosas. Go to foot of post for discoveries at the Compass Housing Development 2017 -2018. Drumnadrochit, by Loch Ness. On the flat former croft land between the Rivers Coilte and Enrick a new NHS Medical Centre is under construction. In January 2015 workers on the site removed a large stone slab. Beneath the slab, undisturbed for perhaps 4000 years, were the crouched remains of an individual resting in a stone lined cist, approximately 0.7 metres deep. 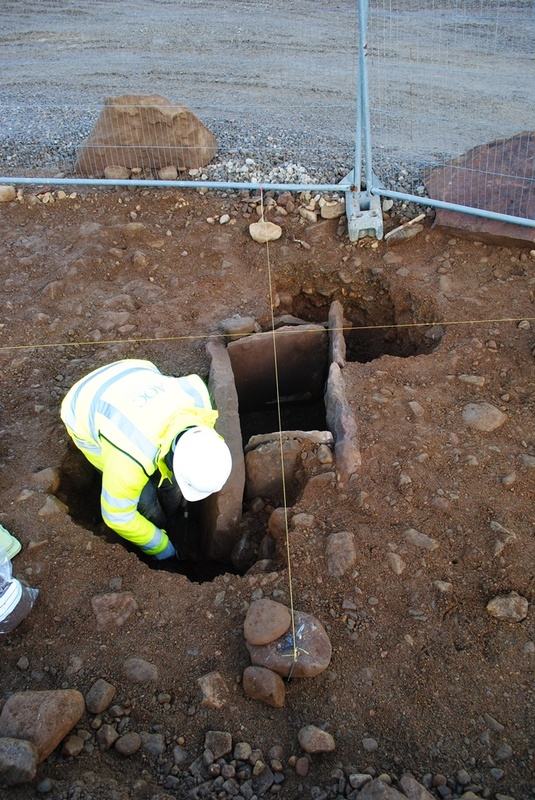 Initially Highland Council archaeologists assessed the site, concluding it was probably bronze age. A skull and possible femur were clearly visible, but there were no obvious sign of grave goods. However it was still clearly an significant discovery. 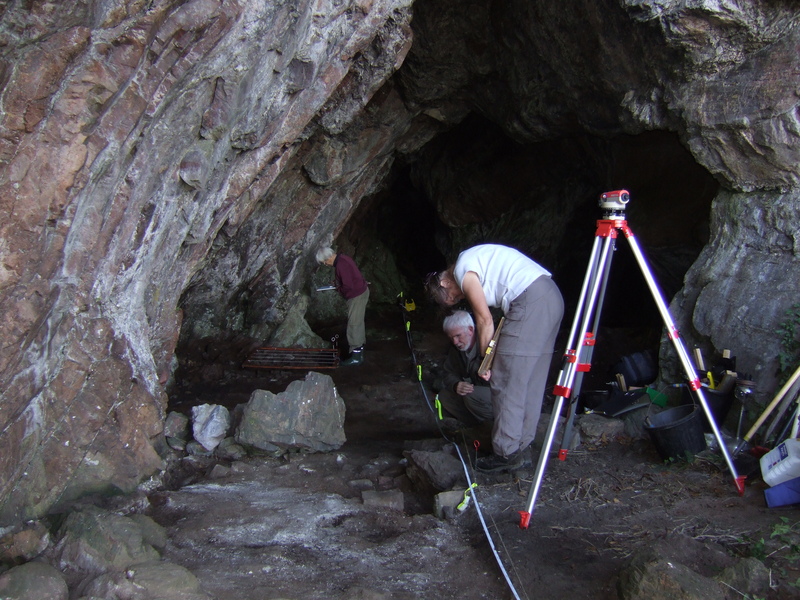 Nothing similar had been found in Drumnadrochit before, and whilst there is a profusion of archaeological sites in the area, nothing of this antiquity is known to have been found in the flat lands around Urquhart Bay. 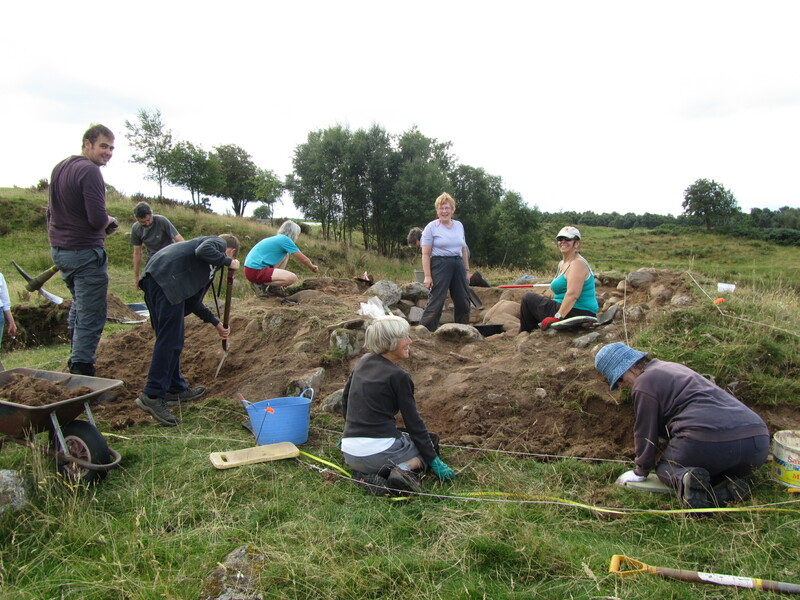 The next step was for NHS Highland to appoint an archaeologist to excavate the burial. 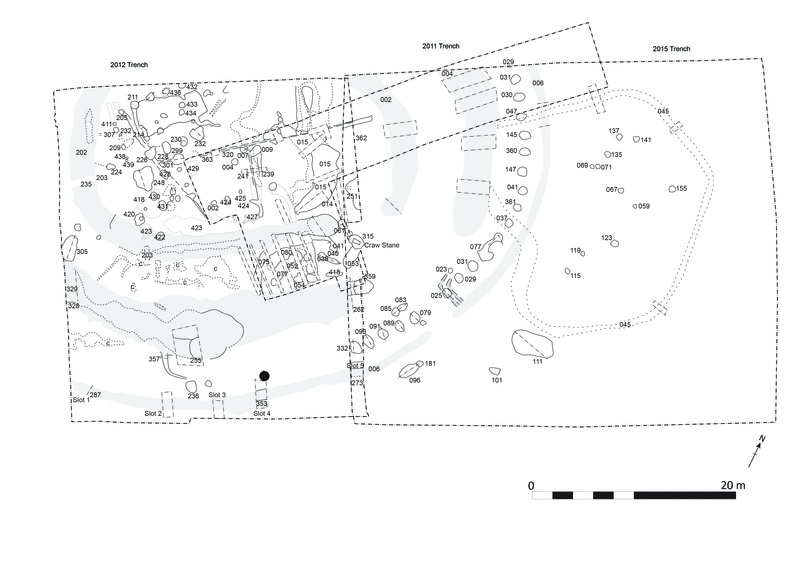 I called in briefly to the site several days later to find that the archaeologists appointed were well known to NOSAS – Mary Peteranna, now of AOC, and Steve Birch. Steve was kind enough to give me a brief rundown on what they had found. It was apparently a fairly typical stone lined cist burial of the early bronze age. 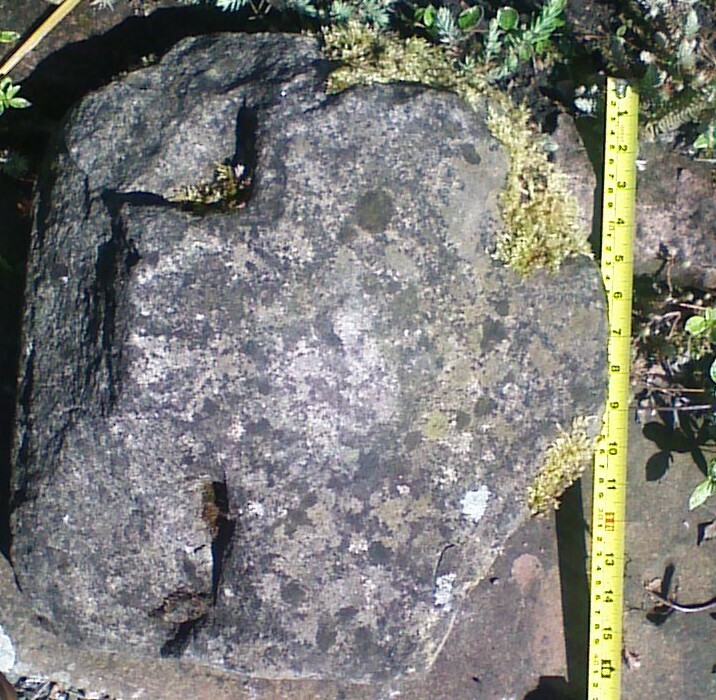 The large cap stone, which had been removed by digger when clearing the area, had possibly already been broken in antiquity. There was a thickness of several cm of gravel above the cap stone before digging work began. This entry was posted in Bronze Age, Excavations, Loch Ness, Aird and Inverness and tagged Archaeological dig, archaeology highlands, archaeology Scotland, Bronze Age Archaeology, bronze age archer, bronze age beaker, Bronze Age cemetery Drumnadrochit, bronze age human remains, Bronze age pottery, c14 radiocarbon results, carinated beaker, Carn Glas, Cist Burial, cist rockery garden feature, Compass housing development Drumnadrochit, culduthel, decorated beaker, Drumnadrochit, Drumnadrochit Health Centre, fyrish, Glenurquhart, Great Langdale tuff, highland archaeology, inverness shire archaeology, isotope analysis, loch ness archaeology, Neolithic Drumnadrochit, radiocarbon dates, Scottish archaeology, soft percussion technique, stone wrist bracer, stone wrist guard, wrist guard, zone decorated short necked beaker on February 8, 2015 by nosas. 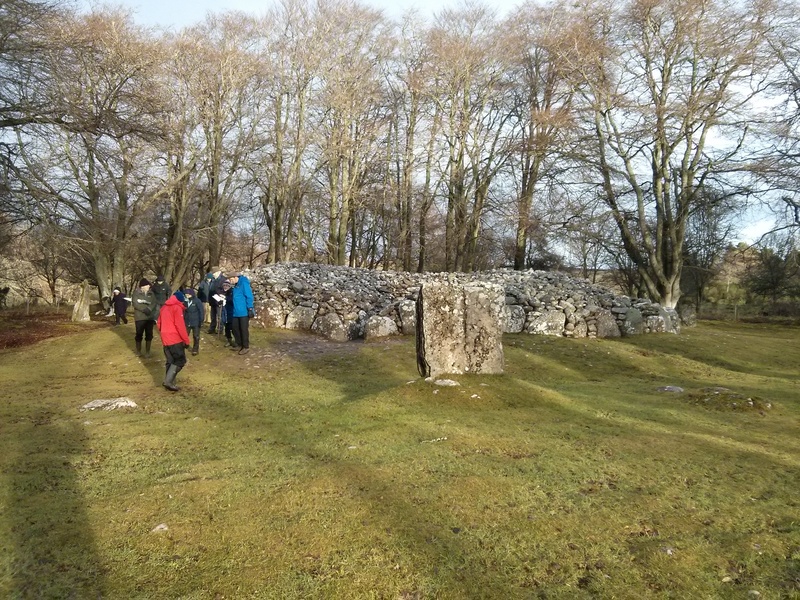 Clava cairns are unique to a small area of Eastern Highlands of Scotland. Identified originally along the valley of the River Nairn, a good start point for any tour of these sites is at Balnuaran of Clava near Culloden. Here Historic Scotland cares for a well preserved group of three circular burial cairns in a small area with a car park and interpretation panels (see the H.S. leaflet). Surrounded by trees beside the river this location can provide an atmospheric even ‘sacred’ sense of the past, especially at mid-winter or in the spring. Two small chambered passage ‘Clava’ cairns with their associated stone circles are sited on either side of a ring cairn with its own stone circle. The ring cairn (Highland Council HER MHG4366) appears to have been built at a similar time as the other cairns but is likely to have been used for a different purpose as it seems to have no entrance and may never have been roofed unlike the other cairns. On the west of the site there is a later small kerb cairn part of later reuse of the cemetery 1000 years later. The two chambered passage cairns (See HER MHG3013 and MHG3002) fit the ‘standard’ ‘Clava’ type with large stones on the inner and outer faces forming a kerb with a substantial fill of smaller stones between. The passages are aligned to face the mid-winter sun at the solstice and experiments have shown that the sun arcs across the back wall of the cairn during the day. The inner and outer facing stones have been selected carefully for size and colour and set into the cairn according to some lost pattern presumably in line with the use and beliefs of the builders of the cairns. Many of the ‘Clava’ cairns have carefully positioned cup marked stones built into the cairns. Some of the cup marked stones are visible on the outer face of the cairns, for all to see. 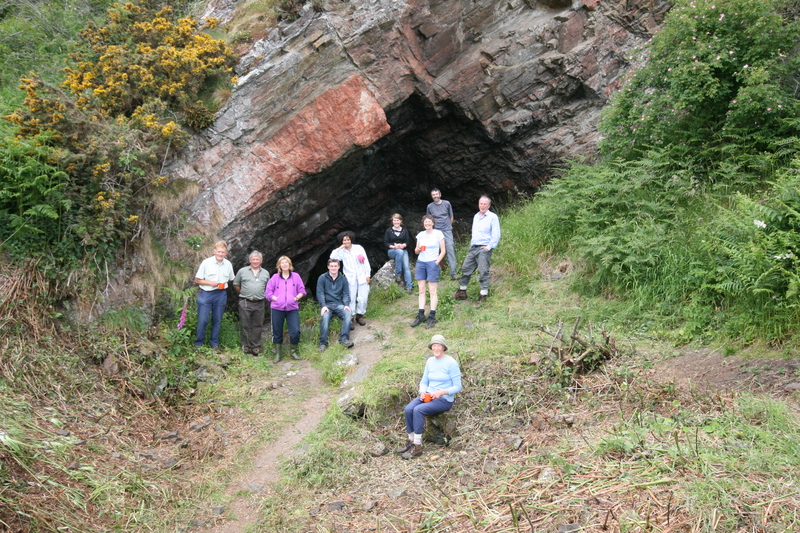 Others are hidden inside the cairn available originally only to those with access to the interior. Some stones are even placed so the cup marks are facing into the rubble fill of the cairn so only accessible to the builders and possibly a limited number of people, maybe the priests who knew their position? The whole cairn would have had a corbelled roof. Around the edge of each of the cairns at Clava a low platform was constructed. The whole structure with its associated platform and stone circle was built in a single phase. 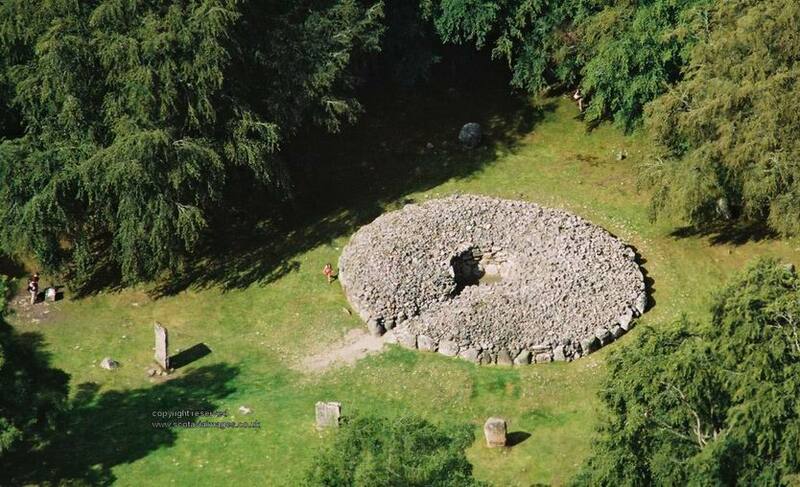 In the case of the ring cairn the platform was extended to three of the standing stones forming a sun ray appearance. 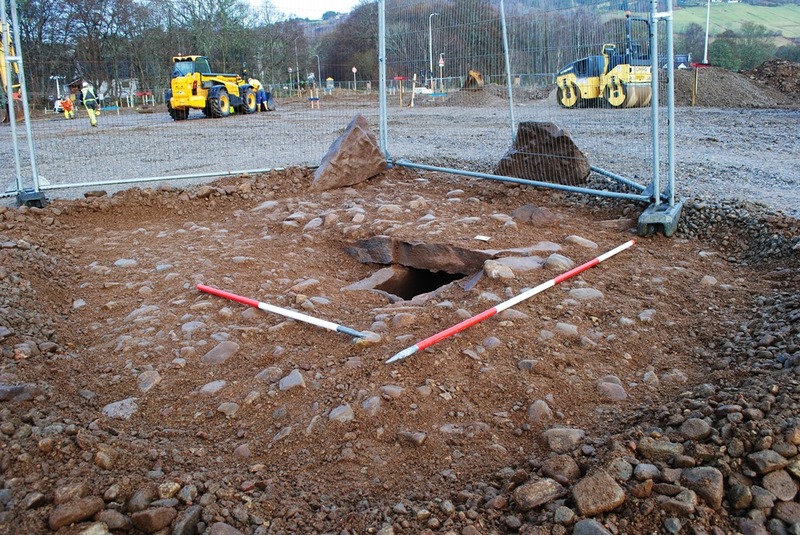 Although some of the stones of the associated stone circles are massive, investigation suggests they have relatively shallow socket holes as do all the inner and outer kerb stones of the cairns. The stone circles provided another opportunity to include a carefully selected range of different types of stone of graded sizes. The largest stones are often placed on the same axis as the passage facing the direction of the mid-winter solstice sun. This entry was posted in Badenoch and Strathspey, Bronze Age, General Archaeology, Loch Ness, Aird and Inverness and tagged archaeology highlands, archaeology inverness, Arr Wood, Avielochan, balnuaran cairns, Bronze Age Archaeology, Carn Daley, Chambered cairn, clava cairns, clava cairns adze marks, Corrimony, Culburnie, Culdoich, Culnacaigh, cup marked stones, Delfour, Druid Temple, Easter Clunes, Excavation, highland archaeology, Loch nan Carraigean, Mains of Gask, mid winter solstice, North of Scotland Archaeological Society, NOSAS, photogrammetry cup marks, Richard Bradley The Good Stones, ring cairn, Scottish archaeology on February 1, 2015 by nosas.